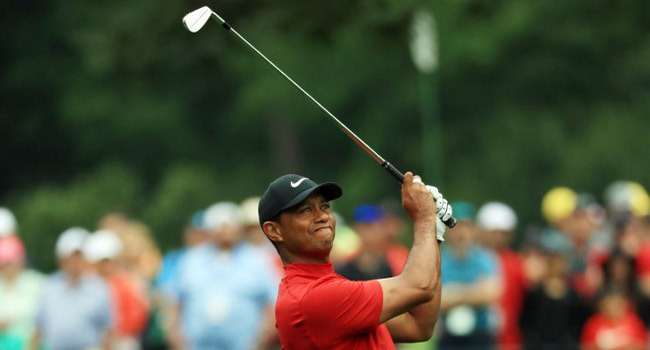 Tiger Woods completed an epic “full circle” comeback from career-threatening injury and scandal by winning the 83rd Masters on Sunday, capturing his 15th major title with an unprecedented back-nine rally. “I know I screamed,” Woods said. Woods, Molinari, Schauffele, Koepka and Johnson were together late on 12-under. None could go lower except Woods, with Molinari undone at the par-5 15th when his approach struck a tree limb and found water on the way to a double-bogey.